Handbrake is video transcoder software that converts video and rips DVD into two common formats i.e. MP4 and MKV. You can't use Handbrake if your video if in a format that is not supported by this software. AVCHD is one of the format that handbrake supports. You will find that most files that are supported by libavcodec and libavformat such as MOV, AVI or MKV can work well with this software. Any Bluray-like format with no copy protection does not work with handbrake. Handbrake input formats are very many. But you will realize that it supports only two output formats which are MKV and MP4. This means that if you want to convert camcorder videos with AVCHD format to MKV or MP4 formats, you can use handbrake software. 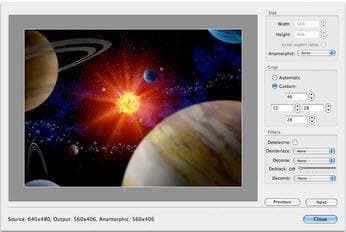 But if you want to convert videos with AVCHD format into formats like MOV or AVI, you have to use alternative handbrake software like Wondershare UniConverter (originally Wondershare Video Converter Ultimate). Step 1 Download handbrake software and install it into your computer to convert the AVCHD video. You will be able to access an import window that helps to locate the file that you want to import. Import the AVCHD files that you intent to convert into this software. You can do this by choosing an option of importing into Mac app. If you are unable to see the import window, go to the top left corner of your software interface and click on the Source button. Alternatively, you can click on the browse button located in the destination section. But bear in mind that Handbrake allow users to import files and convert them one by one. You can use handbrake alternative if you want to have multiple conversion. As I said earlier, Handbrake support only two output format which are MKV and MP4. 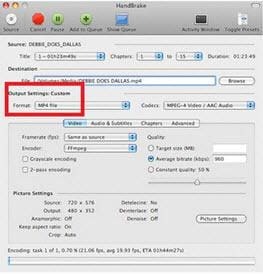 If you want to convert your camcorder AVCHD video files in order to play on iPhone, you click on toggle preset located at the top left side of the handbrake interface to select iPhone preset option. But if you want your camcorder AVCHD video files to play on iPad, you have to manually adjust the output video setting. 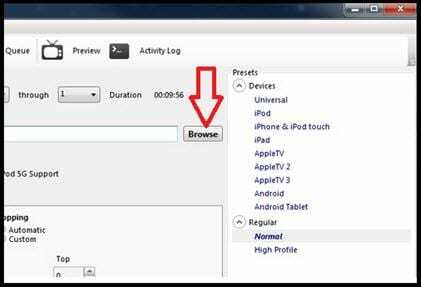 If you are using handbrake alternative software mentioned above, you are given more preset options including that of iPad. Step 4 after selecting the output format (MKV or MP4) start to convert your AVCHD files with using this software. You can do by clicking on the 'Start button' located at the top right corner of the main handbrake. This is much more than a video converter. It is in fact software with a complete video toolbox. You can use Wondershare UniConverter (originally Wondershare Video Converter Ultimate) to download, edit, convert, organize, enhance, capture and watch videos in over 150 formats. Wondershare UniConverter (originally Wondershare Video Converter Ultimate) is a more advanced software than handbrake when compare the features. According to the analysis above, Wondershare UniConverter (originally Wondershare Video Converter Ultimate) wins over Handbrake. You will realize that this software is much more than a video converter when you compare its features that that of Handbrake. It is a quick to use software with a complete video toolbox unlike Handbrake. 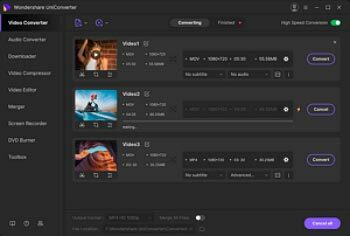 You can use Wondershare UniConverter (originally Wondershare Video Converter Ultimate) to do unlimited tasks unlike Handbrake that mainly convert and rip videos. With Wondershare UniConverter (originally Wondershare Video Converter Ultimate), you can download, edit, convert, organize, enhance, capture and watch videos in over 150 formats. But with Handbrake, there are only two supported output formats. In general, Wondershare UniConverter (originally Wondershare Video Converter Ultimate) is more advanced software with easy and quick to use features than handbrake.